Jin times three! 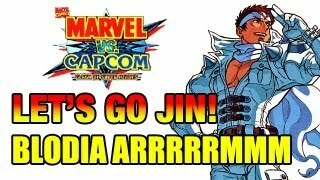 Maximilian takes Jin Saotome to the online world of Marvel vs. Capcom for a third time. See how he fares inside. Maximilian is getting crazy in Marvel vs. Capcom and he's bringing Jin Saotome along for the madness. This is part three of his online showcase with the warrior. If you missed parts one and two, click here.